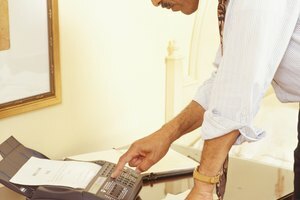 What Year Did the First Fax Machine Come Out? 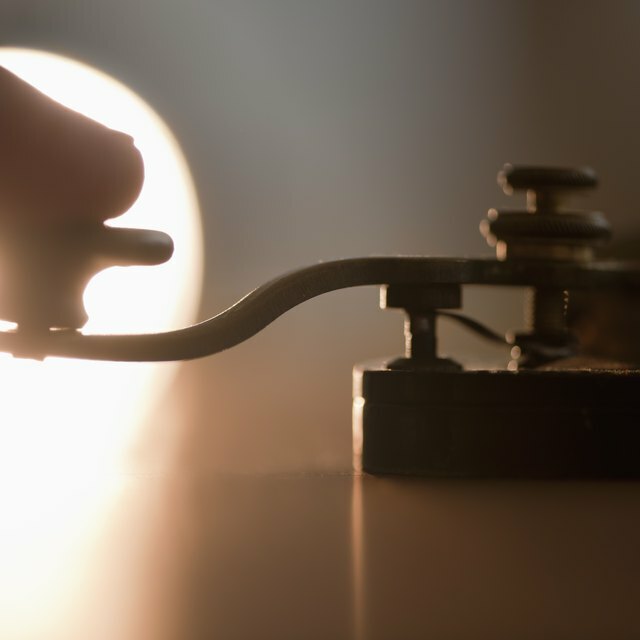 The telegraph ushered communications into the modern era. The telegraph revolutionized communications throughout the world, and Samuel Morse played a major role in this revolution. After the telegraph, communication no longer depended on the length of time it took to hand-carry messages from one location to another. The speed of telegraphy modernized business and personal communication in a rapid manner. Within a few decades of Morse’s patent, telegraph wires spanned the globe. Samuel Morse (1791-1872) initially began his career as an artist after graduating from Yale in 1810. However, his interest in inventing led him to start tinkering with the concept of telegraphy, or sending electrical impulses over wires, in the early 1830s. Morse sought to improve early telegraphs, which had been linked with multiple wires, to just a single wire. Although Samuel Morse did not invent the telegraph, he vastly improved earlier versions of the instrument with his single-wire electric telegraph. In 1837, Morse submitted his patent for the “electro-magnetic telegraph." Similar single-wire telegraphs were also patented within a few years in Great Britain. Batteries supplied the electrical current, and an operator could hold down a key for a short or long period of time to control the length of the electrical impulse. After unsuccessfully trying to bury telegraph wires, an improved method of stringing them on poles became standard practice. Soon the United States was inundated with telegraph poles and wire. Private communications companies arose overnight, and by the 1850s the Western Union Telegraph Company dominated the industry. Morse understood that for his electric telegraph to work, he needed a code that could send mutually intelligible messages. Thus, the Morse Code became adopted along with the electric telegraph. Short impulses are known as dots and longer impulses as dashes. Messages are sent by varying the dots and dashes in a mutually understood code. For example, the letter “A” is represented by a single dot and a single dash. A short pause is used between letters and a longer pause between words. By 1838, Morse could send ten words a minute using his code. His code was quickly and widely adopted for telegraph communications. 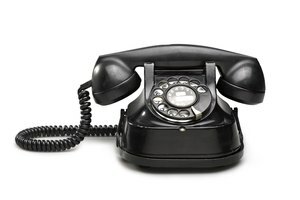 In the early 1870s, a duplex telegraph had been invented and two-way simultaneous communication became available. The telegraph vastly improved communications throughout the world. 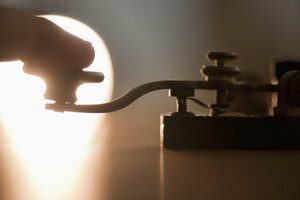 It changed how people perceived time and distance, and the telegraph was the precursor of the telephone, radio, television and internet. By the 1850s, telegraph wires ran through most of the settled U.S., and the telegraph played a vital role in quickly acquiring battlefield information during the Civil War. In 1866, the first trans-Atlantic telegraph cable was installed. By 1902, telegraph wires encircled the earth, and the vast majority of people had access to a telegraph office and the ability to instantly send messages around the world. John Peterson published his first article in 1992. Having written extensively on North American archaeology and material culture, he has contributed to various archaeological journals and publications. Peterson has a Bachelor of Arts from Eastern New Mexico University and a Master of Arts from the University of Nebraska, both in anthropology, as well as a Bachelor of Arts in history from Columbia College. How Did the Invention of Penicillin Affect World War II? How Did People Communicate Before the Printing Press Was Invented? Peterson, John. "The Significance of Samuel Morse Inventing the Telegraph." Synonym, https://classroom.synonym.com/significance-samuel-morse-inventing-telegraph-10183.html. Accessed 24 April 2019. 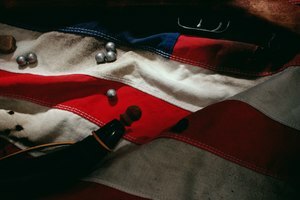 What Gun Did the Colonial Army Use?